Eddie Alvarez defends his UFC Lightweight title against Conor McGregor in Madison Square Garden on November 12. It's a big fight for a big night for the UFC and mixed martial arts, as the sport returns to New York after a 20-year ban. And for the event, they have one of the sport's biggest stars in McGregor, as he tries to win his second world title. Alvarez won this title in his last fight with a July first-round TKO over Rafael dos Anjos. In McGregor's last fight, he avenged a loss to Nate Diaz with a 5-round decision win in August. Both men had interesting routes to get here. McGregor followed his quickie-KO over Jose Aldo for the featherweight champ by jumping up to welterweight to fight Diaz, resulting in a huge upset with a submission loss for McGregor. He sought revenge and gained it in August with a well-fought decision win over Diaz that was indeed close. Now he's back at a more-reasonable 155 pounds, but make no mistake, Alvarez is no walk in the park. Alvarez is 32—four years McGregor's senior. He turned pro back in 2003 and it took a long time to get to the UFC. And when he did, it didn't go great at the beginning, as he lost to Donald Cerrone and barely got the decision over Gilbert Melendez. Another split decision win, this time over former champ Anthony Pettis, put him in line for champion dos Anjos and many didn't really fancy his chances and understandably so with his indecisive wins and loss to Cerrone fresh in everyone's minds. But he clipped dos Anjos in the first round and that was it, with Alvarez winning the title. Alvarez didn't just beat a champion, but he beat a dominant fighter in dos Anjos who had been running roughshod over the division. He had been in dominant form and Alvarez stopped him in the first round. Alvarez has gotten better. He is training under the auspices of esteemed trainer Mark Henry, wrestling with guys like Frankie Edgar, Edson Barboza, and the wrestling team at Rutgers. Against dos Anjos, we saw a fighter with a lot of polish and confidence. We saw a fighter save his best for the big moment, as his prior performances had some people doubting him. He turned it on when he needed to and is now champion. McGregor will have to face a peaking championship fighter who is as sharp as he's ever been. Alvarez is a guy who can wrestle like a demon, while also being a capable boxer with KO power. With Alvarez' diversity, McGregor will need to be in fantastic shape. The margin for error is pretty small for McGregor in this fight. But whereas McGregor would have been moving up to face Alvarez a year ago, he's now moving down after two 170-pound fights against Diaz. And beating Diaz, who is also a top 155-pounder, demonstrates that he can thrive in this realm. McGregor had a bad first fight against Diaz, but the second fight showed he can excel against non-145-pounders. Alvarez is unquestionably a top MMA practitioner with oodles of experience and skill. No 155-pounder can enter the octagon with Alvarez and be certain of victory by any stretch. Still, I see McGregor maybe being too fast for Alvarez. I see McGregor navigating himself out of trouble, overcoming a few rocky moments, and winning a unanimous decision. 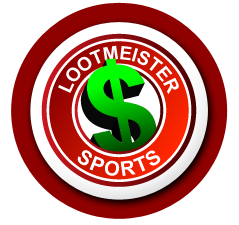 Loot's Pick to Win the Match: I'm betting on Conor McGregor at -145. Did you know... that you could be wagering on UFC 205: Alvarez vs. McGregor at discounted odds? There's a better than good chance that you're laying inflated odds with your book. Stop overpaying TODAY by making the switch to 5Dimes Sportsbook! You will be so glad that you did! UFC Welterweight Champion Tyron Woodley makes the first defense of his title against top contender Stephen "Wonderboy" Thompson in the co-feature on the big MSG card at UFC 205. Woodley won the title in a first-round KO of Robbie Lawler in July. He should have his hands full with Thompson, the man many have identified as the 170-pound heir-apparent. Who comes out on top in this one for the UFC Welterweight Championship? You have to give it to Woodley for his big July win over the champion Lawler. Maybe Lawler was beginning to feel the affects of a long series of wars he was coming off, but for Woodley to so quickly starch a man who hadn't been stopped in ten years was quite an accomplishment. Woodley, 34, used his exceptionally-heavy hands to go from a good but unexceptional contender to strapping UFC gold around his waist. Thompson, an older than you'd think 33, has really made a splash on the big stage since joining the UFC in 2012. He lost his second fight to the vastly more experienced Matt Brown, before going on a 7-fight win streak to earn this shot. Wins over Chris Clements, Robert Whitaker, Patrick Cote, and Jake Ellenberger made him a contender. His last two wins, dominant displays over top 170-pounders like Johny Hendricks and Rory MacDonald, earned him this shot. Thompson is unlike most fighters, with a kickboxing/karate approach where he uses a variety of strikes unlike any in the sport. He's a dynamic striker who lashes out suddenly with vicious kicks that threaten to short-circuit the brains of any fighter with whom he connects. Only the ultra-durable Patrick Cote and MacDonald have managed to go the distance with him recently, as most are finding it difficult to get through a fight with Thompson slinging shots from every angle. He puts guys on the defensive and takes them off their game. With Woodley, you can only be so sure, however, as he is never far from ending a fight with those blockbuster shots. And the man can wrestle with a Division I background. He's a good ground-fighter, despite all his submission wins coming earlier in his career. At the same time, Thompson seems to be a cut above, with the more bankable skills and better performances against a high caliber of fighter. I'm taking Wonderboy. Loot's Prediction to Win the Fight: I'm betting on Stephen "Wonderboy" Thompson at -165. Tired of your credit card not working for sportsbook deposit? End that problem today by signing up and betting UFC 205 at Bovada Sportsbook where your credit card WILL work and where you'll receive a generous 100% sign-up bonus!